As the football season around Europe got underway, two stories relating to match-going fan behaviour and social media hit the headlines. At Old Trafford, Manchester United announced that fans would not be able to bring IPads or other tablets into the stadium, citing rather unconvincing security concerns. Meanwhile, Dutch club PSV Eindhoven were announcing what they thought would be welcome news – the arrival of Wifi in their stadium. However it was this second policy that drew to most complaints. Both stories tapped into the concerns of many match-going fans about the continuing gentrification of football support. Many United fans reacted with delight that tablets were being banned – although in their view not for the right reason. The sight of ‘tourist’ fans holding up IPads and filming matches has annoyed many fans who believe that football support should be about getting behind the team rather than taking videos to prove ‘I was there’. At PSV, fans orchestrated a protest at the introduction of Wifi, making a similar point: football fandom is about actively and vocally supporting the team, rather than spending the game checking Twitter or uploading selfies. The PSV fans also protested against stewards telling them to sit down at matches, again claiming that this was lessening the ‘atmosphere’ at matches. Traditional match-going fans have been resisting the commercialisation and gentrification of football for many years now, and protests and organisation fan movements to improve atmosphere in grounds are becoming more common (for example the recent introduction of a ‘singing section’ at Old Trafford and the activities of Crystal Palace’s ‘Holmesdale Fanatics’ and Celtic’s ‘Green Brigade’). The number of fans standing at matches is also on the rise, as is the use of pyrotechnics – an irritation to the authorities but potentially also the start of a wider fan rebellion against ‘modern football’. We should not forget of course that these fan groups are just a small sub-culture within the wider match-going support of clubs – many fans want to be able to check the internet at matches or upload photos on their tablets for their friends. However, in European football at least, it is the traditional ‘home-and-away’ match-going groups (or ‘carnival fan’ groups) who dominate football culture. Their voice is always heard the loudest, as well as usually being respected by other fan sub-cultures who may not join in but enjoy watching the match in a colourful, noisy and vibrant atmosphere. The irony in both the PSV and United stories is that actually these carnival fan groups are typically big users of social media to encourage atmosphere, arrange meeting points at matches, secure tickets, build internal social cohesion, and actively promote their mode of fandom as being ‘authentic’ to a wider audience. For re-living previous matches and building up to the next fixture, social networks and the internet are now essential, it’s just that on the whole they would prefer match-day focus to be on the ‘serious business’ of getting behind the team on the pitch. 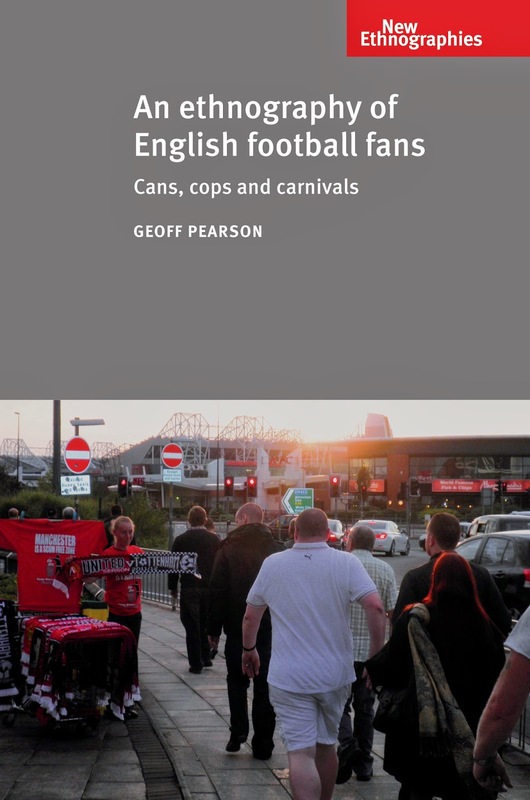 An ethnography of English football fans is now available in paperback in the New Ethnographies series. Category: Anthropology, Sociology	21 Comments.